For Maccani, a Shoreview resident, the Power of 100 also offers women a chance to socialize with one another. She noted it is refreshing to build relationships in between working part-time as a project manager and having a family. Maccani said while her two boys were in school she volunteered a lot within the schools, citing her involvement with the PTA and other school activities. “As the boys got older, I wanted to do something more for the community,” she said. In 2012 Maccani and other women interested in The Power of 100 attempted to attract 100 women to the cause. Their first meeting was in September 2012, and more than 60 people came to the event to donate at least $100 each to the selected charity: The Washburn Center for Children. In total, the group raised more than $8,000 for the center, which supports children with behavioral and emotional issues. Upon meeting the threshold of 100 members, the group has continued growing; it currently has around 167 members from over 28 cities in the metro area and others from outside the state. Mattson, who works for the medical research company Ofstead & Associates in St. Paul, said she knows The Power of 100 is a worthy time commitment. “It’s definitely a volunteer effort that fits in around all the other competing priorities,” she said. Mattson said all that hard work has paid off. Since 2012 the women have raised $120,480 for 10 local charities. In addition, the quarterly donations have increased by 30 percent, she said. She said The Power of 100 represents a team of dedicated women who cultivate relationships, good stewardship and leadership skills on behalf of their communities. “I’d love to see us be the power of benefiting 100 charities. “Once an organization is a fund recipient, they are not eligible to be considered for additional funds from The Power of 100 for two years,” she said. 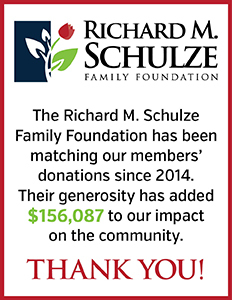 One notable new financial contributor is Richard M. Schulze, founder of Best Buy and the Richard M. Schulze Family Foundation. Beginning last December, Schulze began engaging in a trial pilot program that will provide a 2:1 match of all dollars donated over a baseline contribution of $12,500, up to a maximum of $12,500 per quarter. 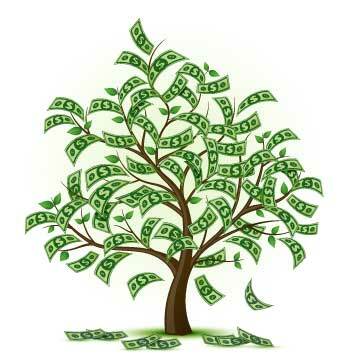 Mattson said the rise in membership has equated to a rise in funds contributed. As part of the Power of 100 requirements, those members “in good standing” or who donated to the last cause are eligible to nominate as many charities as they like as long as the charity is local, a 501(c) (3) nonprofit, and has been in existence for two years. At the meeting, each nominated charity is written on a slip of paper and placed into a fish bowl. Three charities are drawn from the bowl, and each charity’s nominator is given a brief opportunity to make the case for her cause. A brief question-and-answer session follows. Mattson said members select one of the three charities that have been presented. After the vote, members count the ballots and announce a winner. At that point, all the women in attendance are asked to write a check for $100 directly to the winning charity. The winning charity is also posted to the group’s website (www.thepowerof100twincities.com). The group’s next meeting is from 7 to 8 p.m. Monday, March 2 at the Hilton Garden Inn in Shoreview. A social hour begins at 6 p.m. For more information call 651-271-2518.